As you might remember, last week I posted inspiration photos for my 'budget-friendly' bedroom makeover... here is the result! The 'before' photo is on the left. I spent a total $150. One of the biggest finds for the room was this headboard. I picked it up at a thrift shop in Waldo for $20. I recovered it in a quilted cream fabric that cost $15. 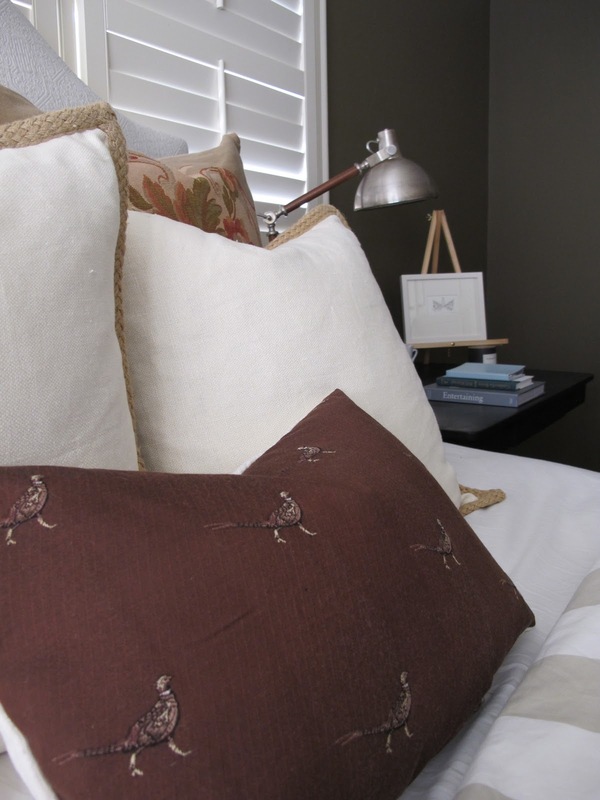 I also created the needlepoint looking euro pillow cases and the accent pillow with the embroidered pheasants. The brass lamp was also found at the thrift shop for $10. 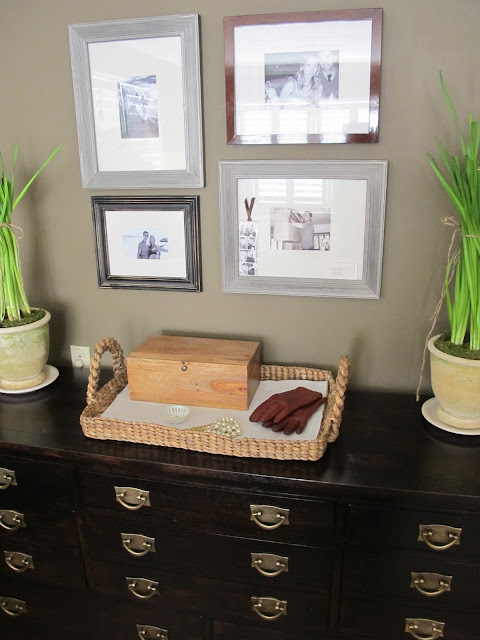 I put a sheer black glaze over our once 'mission' style dresser. You might remember the color before was a brighter, reddish brown. I spray painted the pulls with gold spray. I LOVE how it turned out. These are the pillow cases I made. I really loved the needlepoint looking fabric. Also, I love that I can just change the cases of these pillows and change the entire room's accent color to, say, blue?? Maybe in the spring. 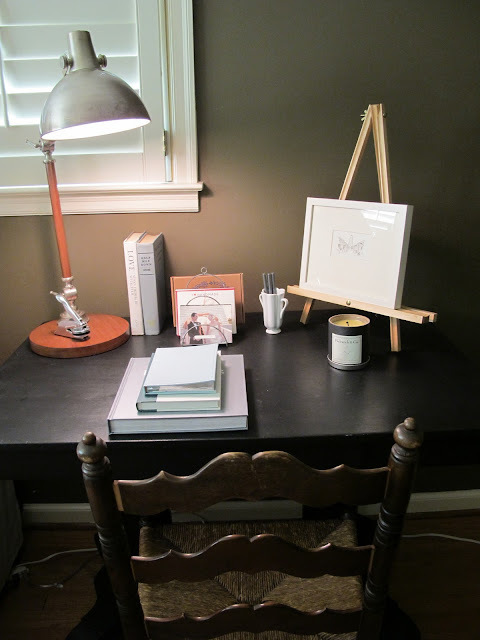 I reorganized the desk to be functional and less 'bed-side-table'-esque. This chair adds a great feminine vibe to the room. $10 at the Thrift shop. I don't know if I'm more excited about your dresser or that two of the gifts we gave you made the cut for the desk-I'm gushing. It's beautiful. The room looks great! I love the collection of frames on the wall. What a gorgeous bedroom! I love your dresser! SO lovely!!!!! !I love the dresser makeover w/ sprayed pulls...genius! 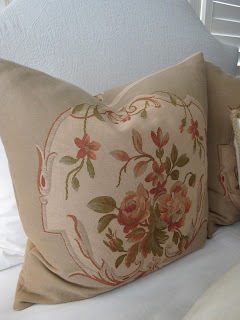 And the pillows are just beautiful! Girl, we could be soul mates! :) You should check out my blog (www.livelovediy.com)...I am a thrift store lover as well! I love seeing others do beautiful work on a small budget! Well done!! So beautiful and more stylish dresser.Great looks dresser.The room looks great! I love the collection of frames on the wall.